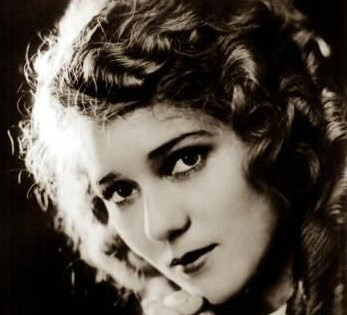 Rare was the Mary Pickford film where Mary gave less than she got. Rare was the lout, thief, or cheat who did her wrong and stayed intact. Those mournful looks, that tiny body—they might bolster a bully’s confidence, but not for long. He’d soon find out what he’d awoken. And the result would be all his fault. This is an insight that Pickford’s husband in The Dream has forced himself to forget. The film opens with this man having a grand old time in a smoky club with a floozy. He’s drunk, indifferent; he wanders from table to table like he owns the place. When the waiter brings him his coat and hat, the floozy playfully kicks the hat out of his left hand and into his right. She’s fun and dexterous. “6 hours later. He brings a grouch home,” reads the next intertitle. We see the home before the grouch: a shockingly tiny space half-filled by the dutiful, dozing Pickford. Director Thomas H. Ince frames the scene uncomfortably tight; we do not have the whole room, only a slice of it. When the husband (Owen Moore) returns, grousing and kicking furniture, it looks like they’re arguing in a closet. She walks off-camera and he crumples in a heap on the sofa, lamenting his lost high. Now, he dreams. Now, a new Pickford hits the screen: loud and brash. She wears a huge hat. Her black dress is now bold and bright; the floral pattern that ran from her shoulder to her waist now travels from her waist to her feet, looking more like rows of teeth. Her husband is a limp rag, watching her from the corner. Pickford holds her shoulders high as she stomps to the bureau to pour a drink and toast herself. She holds up a dish for his inspection, then kicks it, like the floozy kicked his hat, and it smashes on the table. Now she abandons him for her own night out. This unnamed husband—he’s a Pickford foe of a different sort. He prodded the hornet’s nest, like so many others would do in later films, but the woman who pushed back is born of his imagination. His real wife is a milquetoast. A long-sufferer. This creature—a being he created—holds him in total contempt. She can’t do anything he doesn’t prescribe. She can only perceive him as he perceives himself. And it’s not enough that she turns the tables on him by being as lousy as he is. His self-hatred reaches farther than that. Her kick of the dish, punctuating her opinion of him, is too close to the sort of thing his mistress would do. They both think he’s a sap. They’re both right. You’re not the woman I supposed you were. He capitalizes ‘Unhappy Husband’ as though it were his name. Such is the depth of his self-pity. And of course, his suicide attempt fails because he’s not actually killing himself in real life. Suddenly awake and shouting, he draws his real wife back into the room, and through pantomime, describes the movements of the woman he dreamed her to be. She’s aghast. “I didn’t do that! I didn’t!” she says. He pantomimes kicking a plate. “I didn’t!” she says, clasping her hands. He’s so relieved. She buries her puzzlement by fussing with the table settings. And while her back is turned, he pulls something—maybe a handkerchief—from his breast pocket, and quickly hides it behind a curtain. I don’t know what it was, but it was in his jacket before he awoke. Real wife, dream wife; the husband fears them both. So much that he hides from them: in the crowds of a club; in the untraceable hours of an early morning; in the arms of good-time girls; in his tiny mental compartment of his great big house. But in his dreams, they find him. In his dreams, he turns himself in. **There’s another layer to this onion. 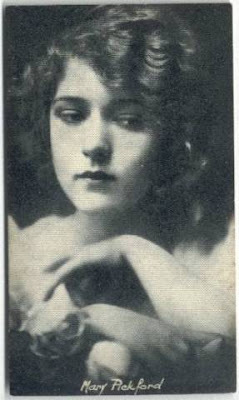 About two weeks before The Dream was released in the U.S., Moore and Pickford were married. The union was a bad one—Moore was a drinker and abuser, supposedly unable to deal with Pickford’s enormous success. She left him for Douglas Fairbanks. Moore’s character in The Dream has a similar fate in store. I saw The Dream live as part of an outdoor screening of silent shorts, courtesy the Toronto Entertainment District Business Improvement Area (BIA). Live accompaniment was provided by Andrew Downing (cello), Nick Fraser (drums), and Tania Gill (keyboards). You can also view a pretty clear version of the film on YouTube. Funny - Owen Moore is this week's Silent Stanzas star. (Or will be, as soon as I finish writing it.) This sounds like a fascinating little character study - I'll have to catch it! He was supposedly most notable for his voice. That's rotten luck for a movie actor in 1911.
the truth I am very interested in your blog. I found it by chance and stayed for a while reading because this good. I will follow you so I visit you more often. I'm from Argentina, my name is Lourdes. Greetings! Glad you enjoy my writing, Lourdes! Thanks.